em>During the 2017 NaNoWriMo event in November, Writers in the Grove members offer these prompts to provide inspiration and incentive to keep you going during the self-competition to write 50,000 words in 30 days. You may find NaNoWriMo prompts from previous years and prompts from our weekly workshops. The recipe of our life. The following is by Writers in the Grove member Patti Bond. Determination is pressing on when you feel like you can’t go on. Determination is persevering through life. Determination is not giving up on your dreams and goal. Determination is a sense of success when you achieve something you want to do. Determination is a sense of power. Determination is reaching for the prize that is from above. Determination is joy that overflows your heart to others around you. This week, our leader, MJ Nordgren, led us on an exercise to do a writer’s checkup and check-in, to see where we were on our writing goals, and what was getting in our way. What do I long to write? List four steps you need to do to be able to write. List 4 strengths that you have that will enable you to write this work. List 4 handicaps that are in your way, blocking the road, of you being able to write this work. You do not have to share this information with others. By writing this out, you name things. By giving things names, you control their power over you. Is it just me, or is the whole starving artist thing highly overrated? Yes, there’s a certain romanticism to being a penniless vagabond, sacrificing material goods in the selfless pursuit of art. …And if you’re lucky, you survive. No, you’re not sitting by the beach drinking margaritas, but you have food and a bed and a car, and people don’t worry about catching weird diseases when they’re standing beside you in the elevator. It’s nice, but you still haven’t “made it,” and you wonder why. It’s because you don’t have your mind right. You have these nasty little demons sitting on your shoulder, feeding you lies about the relationship between success and art. You probably picked up some of these ideas from your parents, others from your teachers, and still others from fellow writers and artists. And if you let them, they’ll cripple you. You’ll go through your whole life knowing you’re talented but never quite making it and forever wondering why. Let’s make this coming year the year many of us fantasizing about publishing, get published. Or we might be sitting on that beach with the margarita wondering why with our nasty little demons. Hey, get out of my drink! It is almost time for the annual NaNoWriMo, the National Novel Writing Month. It begins at midnight October 31, and runs through the last day of November. The goal of NaNoWriMo is to write 50,000 words (and complete a novel) in 30 days. Don’t stress out yet. The numbers divide down to 1,667 words a day, typically 60-90 minutes of writing. Join more than 300,000 people globally, and Writers in the Grove members, by participating actively or passively. This can be a solo experience or a highly social one. You can connect online and/or connect in person through the many local activities, events, and write-ins where people gather in a social space to write and get to know each other. Last year, Writers in the Grove had about eight people participating, some openly, some secretly, not willing to go public because they were afraid of failure. Let’s clear something up right from the start. There is no failing with this. The goal is to write, and anything that gets you writing, and keeps you writing, is a good thing, whether or not you achieve the 50K goal. Many never reach it, but keep trying year after year. NaNoWriMo is not just about the word count. It is about the writing. Write a minimum of 1,667 words a day. Write for an hour minimum a day. I learned I could write consistently every day. I learned how to write consistently daily. I discovered some fears and road blocks I didn’t know I had. I figured out how to work harder with less research. I just wrote. Usually I spend too much time in my head and less writing, but I just wrote. I learned it isn’t as hard as it sounds. I learned that I had something to say, a story to tell. I realized how much I allow life to get in my way. I sit down to write and the phone rings, doorbell goes off, email pings, thoughts roam – and how much I need to just say no. I realized that the true art in writing is editing after you write. From the prompt on where do you go for inspiration. The volume of the street notched up the decibels, radios drowning out traffic noises, voices lowered for a moment, ears tuned in, heads tilted toward the nearest plastic speaker box. Top of the hour. I glanced at my watch to confirm, quickening my pace. I was still two blocks from my destination and now late. The ability to tell time by the top of the hour started long before I came to the unholy land called Israel. For me, it was natural, keeping me in touch with the world around me as I traveled through its vastness. But never had I been around an entire culture obsessed with the news on the hour. Inspired by a prompt on where you find your inspiration, Writers in the Grove member, Diana Kay Lubarsky wrote the following. Where do I go to find inspiration for my writing? Good question. My writing takes two forms … that which I share, and that which I don’t. I’ve never categorized it like that before, but it is true. The writing I do not share is comparable to a child’s temper tantrum, filled with the angst of not getting my own way. While that which I do share tends to be kinder and more tolerant and encouraging. But always, the inspiration comes from within. 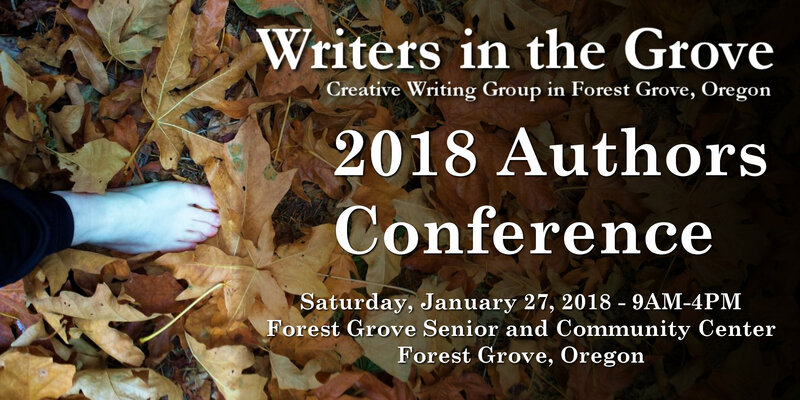 Surrounded now by kindred writers every Monday morning in the ivory covered halls of the Forest Grove Senior Center, I am learning how others seek inspiration from the outer world, which I find fascinating. This wonderful group share the most marvelous inspirational tales … about Rosemary’s turtles, and Beverly’s flush toilets, from Susan’s farm happenings to Lorelle’s imaginings. I am learning to look outward. Perhaps someday soon I will be inspired by buttercups smiling in the field. But for today the inner images still sing most loudly in my head. Prompt: Where Do You Go for Inspiration? Where do you go for inspiration? Is it your church, family, a place, a moment in time? How do you get there?